In the preview pane, select a container. On the Container tab, select Export Container > Export container to or right-click a container and select Export container to. In the Export to field specify the destination location. 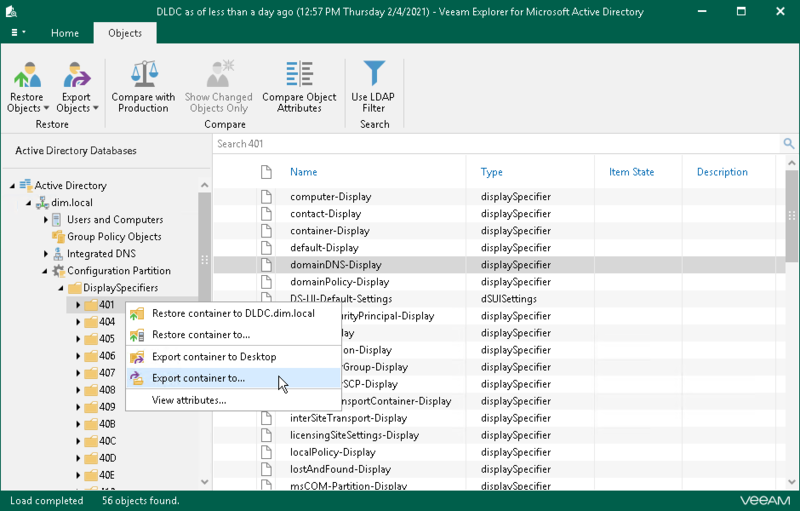 To save only objects included in the selected container and meet specific filtering criteria, click Show settings to set the filter. (Optionally) Select the Save only objects that suit the following filter checkbox and enter filtering criteria. 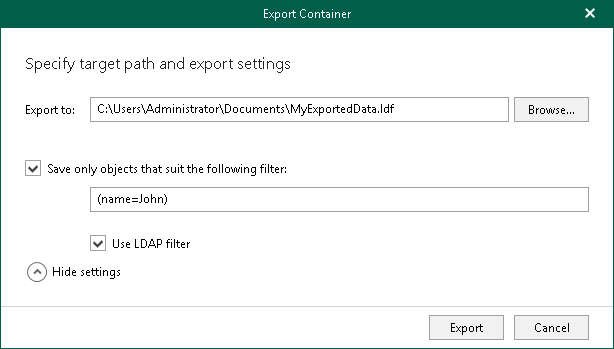 If necessary, select the Use LDAP filter checkbox to switch to the corresponding filtering mode. All the nested containers (if any) will be preserved during the export.